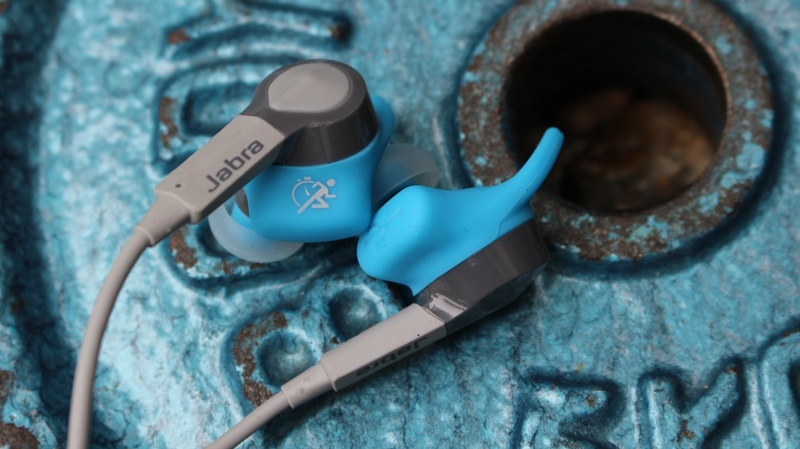 The Jabra Sport Coach Special Edition is as the name suggests, an updated version of the Jabra Sport Coach workout tracking wireless sports headphones. Unlike the more expensive Jabra Sport Pulse, which feature built-in heart rate monitoring, the new Coach in-ears are focused on helping you get more out of your workouts by adding one key feature: automatic rep counting. So it'll count your press-ups and sit-ups and you'll know exactly when you've put in the maximum effort. There aren't many rep counting devices out there, but we've spent time with two of the most notable, the GymWatch and the Atlas Wristband wrist-worn wearables. Priced at $120, the Coach Special Edition is significantly cheaper than the Pulse Sport, but still a pricey investment for anyone on the look out for a pair of smarter sports headphones. We've been sweating it out doing lunges, burpees and planking to see if the Jabra Coach Special Edition is worth spending the money on. Good luck spotting the difference between the first Coach and the Special Edition version because they are identical. It's the same set of sweat-proof, in-ear buds with a connected single wire and an inline remote on the right side of the cable. The outside of the left earphone houses the Sport button that you can press to launch activity tracking from the Jabra Sport Life app. It also lets you skip through exercises during circuit training workouts. Pairing with your smartphone over Bluetooth is still a painless process. Simply press and hold the middle button on the inline remote and a voice prompt will quickly signal that it's jumped into pairing mode. We had no problems pairing it with an iPhone 6 or a Note 7 and it worked without any problems when paired to the TomTom Spark 3 running watch as well. The only real big difference here is that Jabra has decided to include a set of Comply foam ear buds, so there's more variety in terms of fit. We certainly didn't have any issues with the standard silicone ones, but it's always nice to have the option to switch things up. These are are a comfortable pair of sports headphones and they do not budge when you're working out. While Jabra's in-ears can be used as a standard pair of Bluetooth headphones, it's the tracking smarts that we are really interested in here. On the first Coach headphones, the onboard motion sensor (accelerometer) was able to track things like distance, pace, steps and cadence. It can still do that and when paired up against a dedicated running watch again, the data accuracy still holds up. The big story here though is the automatic rep counting. It's something we wished was included in the first Coach headphones and Jabra's CEO even hinted that we would see more from its motion sensor. Now we've got it. So how does it work? Well, the first thing you need to do is install the Jabra Sport Life app to your phone. Once that's done you'll be able to get to grips with one of the best companion apps we've had the pleasure of using. The user interface is clean and easy to navigate, it offers slick music playback integration and it's packed with workouts you can track. To find a workout that supports automatic rep counting you need to head to the cross-training section, where you can pick from a range of workouts with names like CardiCore, BellyBurn and MadCore. A small arrow icon indicates which workouts support the new feature. There are eight pre-loaded circuits in total but you can create your own custom ones as well, to help keep things varied. Once you select a workout, you can see a breakdown of all the individual exercises, how many reps are dedicated to each exercise and how long you get to rest in between. You can also hit the info icon alongside each exercise to see a video on how to perform it correctly. That's particularly useful if you're a fitness beginner. Circuits are a mix of rep counting exercises and timed exercises and range in duration. Crucially, they do give you a serious workout. Even the short burst sessions really push you so there are no question marks over whether you are really going to burn those calories. Pressing the Sport button when prompted activates the motion tracking and means the reps can now be counted. As far as accuracy is concerned, we were pleasantly surprised by how well it worked. Exercises like press ups and sit ups were accurately measured. We put it up against the rep counting Atlas Wristband and it was spot on. There are a couple of exercises that do pose some issues for the automatic rep counting though, notably ones that require plenty of space like burpees. So make sure you have room to get the full benefits of a workout. On the whole though, the motion sensor delivers on its promise. If there's one thing you don't need to worry about, it's audio quality. The tinny, unbalanced sports headphones of old are well and truly a thing of the past. The Coach are up there with top end in-ears for performance. There's plenty of power, warm bass and detail making them well equipped for up-tempo tracks or audiobooks. The passive noise cancellation is a strong performer as well, letting you drown out the ambient noise if you prefer to zone out and focus in on the music. Like the Sport Pulse, these are great sounding headphones. As Jabra is something of a headset expert, it's no surprise to find out that when you need to take a call midway during your workout, the voice call quality is exceptionally clear and also copes well in busy environments if you're out running with them. We weren't big fans of the battery life on the original Coach and you shouldn't expect much improvement with the Special Edition version. Jabra claims you should get 5 hours of play time, which is slightly down from 5.5 hours on the original and it definitely lives up (or down) to that number. It's disappointing when the Pulse Sport can manage to squeeze out a few more hours. It will get you through an hour gym session no problem, but if you're using it for your commute as well and a little more during the day, you might find yourself charging it more regularly than you'd like. It's charged via Micro USB at least, and is a relatively quick charger as well when you do run out of power. The Jabra Sport Coach Special Edition is a solid pair of wireless sports headphones that takes the existing tech on board and makes it all the more useful. Coupled with a secure, comfortable fit and great sound quality, there's enough going on here to justify the price tag. It's just a shame it doesn't deliver a little more in the battery department and misses out Jabra's impressive in-ear based heart rate monitoring.